Abay, Kibrom A., Gashaw T. Abate, Christopher B. Barrett, and Tanguy Bernard. "Correlated Non-Classical Measurement Errors, 'Second Best' Policy Inference and the Inverse Size-Productivity Relationship in Agriculture." 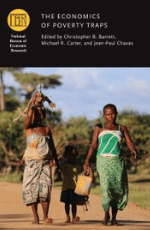 Journal of Development Economics, forthcoming. Tafere, Kibrom, Christopher B. Barrett, and Erin Lentz. "Insuring Well-Being? Buyer’s Remorse and Peace of Mind Effects From Insurance." American Journal of Agricultural Economics, forthcoming. Abowd, John M., Ian M. Schmutte, William N. Sexton, and Lars Vilhuber. "Why the Economics Profession Must Actively Participate in the Privacy Protection Debate." 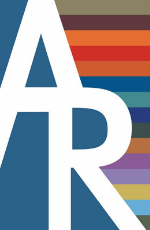 AEA Papers and Proceedings, forthcoming. Takahashi, Kazushi, Christopher B. Barrett, and Munenobu Ikegami. "Does Index Insurance Crowd In or Crowd Out Informal Risk Sharing? Evidence from Rural Ethiopia." American Journal of Agricultural Economics, forthcoming. Karolyi, G. Andrew, David T. Ng, and Eswar S. Prasad. "The Coming Wave: Where Do Emerging Market Investors Put Their Money?" Journal of Financial and Quantitative Analysis, forthcoming. Kaido, Hiroaki, Francesca Molinari, Jörg Stoye. "Confidence Intervals for Projections of Partially Identified Parameters." Econometrica, forthcoming. Battaglini, Marco, Salvatore Nunnari, and Thomas R. Palfrey. "The Polictical Economy of Public Debt: A Laboratory Study." Journal of the European Economic Association, forthcoming. Lovenheim, Michael, and Alexander Willén. "The Long-run Effects of Teacher Collective Bargaining." 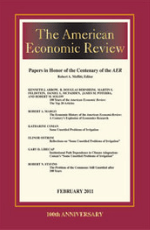 American Economic Journal: Economic Policy, forthcoming. Easley, David, Maureen O'Hara, Soumya Basu. "From Mining to Markets: The Evolution of Bitcoin Transaction Fees." 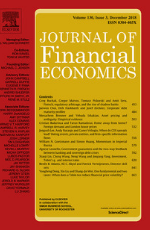 Journal of Financial Economics, forthcoming. Battaglini, Marco, and Eleonora Patacchini. "Social Networks in Policy Making." Annual Review of Economics, forthcoming. Battaglini, Marco, and Rohit Lamba. Optimal Dynamic Contracting: the First-Order Approach and Beyond." Theoretical Economics, forthcoming. Olivetti, Claudia, Eleonora Patacchini, and Yves Zenou. "Mothers, Peers and Gender-Role Identity." 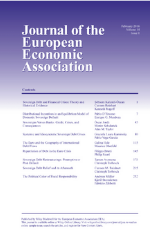 Journal of the European Economic Association, forthcoming. Barseghyan, Levon, Damon Clark, and Stephen Coate. 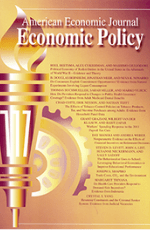 "Public School Choice: An Economic Analysis." 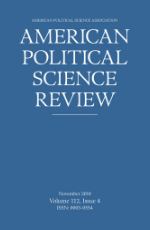 American Economic Journal: Economic Policy, forthcoming. Nimark, Kristoffer P., and Stefan Pitschner. "News Media and Delegated Information Choice." 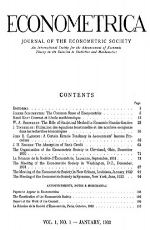 Journal of Economic Theory 181 (May 2019): 160-196. Nimark, Kristoffer P., and Savitar Sundaresan. "Inattention and belief polarization." 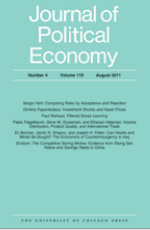 Journal of Economic Theory 180 (March 2019): 203-228. Battaglini, Marco, Ernest K. Lai, Wooyoung Lim, and Joseph Tao-Yi Wang. "The Informational Theory of Legislative Committees: An Experimental Analysis." American Political Science Review 113, no. 1 (February 2019): 55-76. Abowd, John M., and Ian M. Schmutte. "An Economic Analysis of Privacy Protection and Statistical Accuracy as Social Choices." American Economic Review 109, no. 1 (January 2019): 171-202. Blau, Francine D., and Anne E. Winkler. The Economics of Women, Men, and Work. 8th ed. New York, NY: Oxford University Press, 2018. Boyer, George R. The Winding Road to the Welfare State: Economic Insecurity and Social Welfare Policy in Britain. Princeton, NJ: Princeton University Press, 2018. Barrett, Christopher Brendan, Michael R. Carter, and Jean-Paul Chavas. The Economics of Poverty Traps. Chicago: University of Chicago Press, 2018. Battaglini, Marco, and Eleonora Patacchini. "Influencing Connected Legislators." Journal of Political Economy 126, no. 6 (December 2018): 2277-322. Kitamura, Yuichi, and Jörg Stoye. "Nonparametric Analysis of Random Utility Models." Econometrica 86, no. 6 (November 2018): 1883-909. Kopytov, Alexandr, Nikolai Roussanov, and Mathieu Taschereau-Dumouchel. "Short-Run Pain, Long-Run Gain? Recessions and Technological Transformation." Journal of Monetary Economics 97 (August 2018): 29-44. Molčanov, Ilja S., and Francesca Molinari. 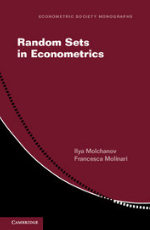 Random Sets in Econometrics. Cambridge, United Kingdom: Cambridge University Press, 2018.